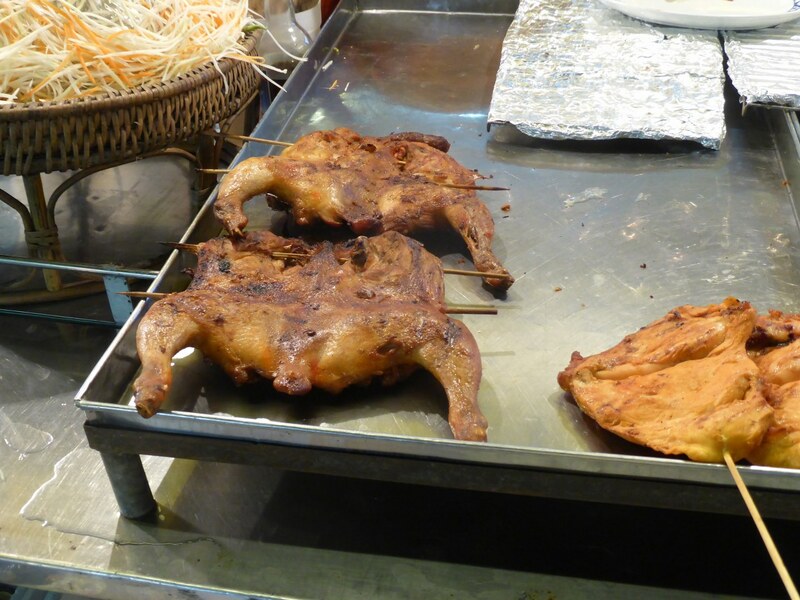 Like every year: the cycle is not complete without a trip to Asia. 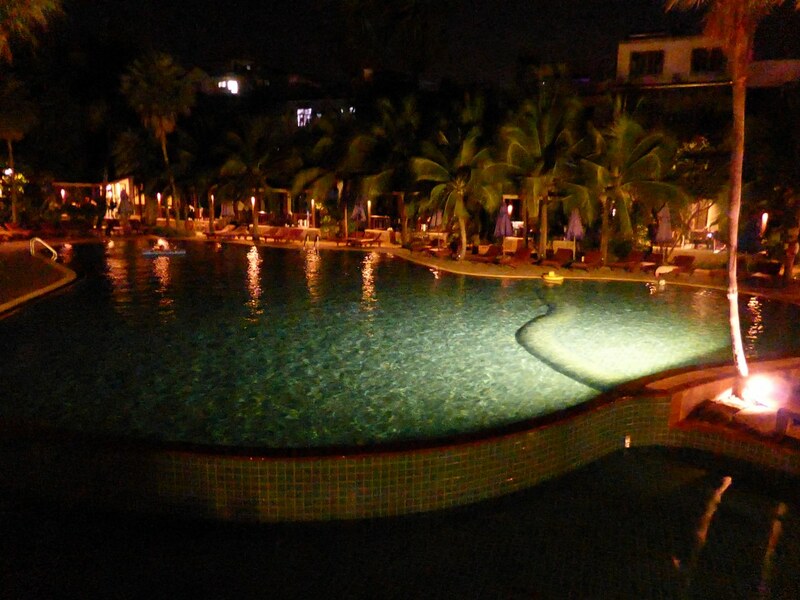 Last night in Thailand / Asia! Time to go home to the countries of pork eaters. It will be heavy winter food there, oh my god! How shall I survive? What shall I eat? 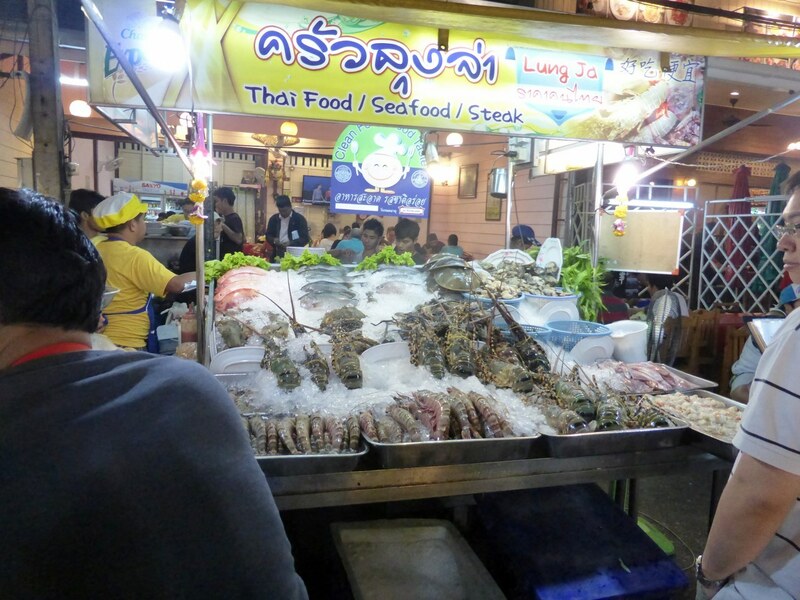 The last dinner in Asia for a long time tonight – in Hua Hin at the night market! 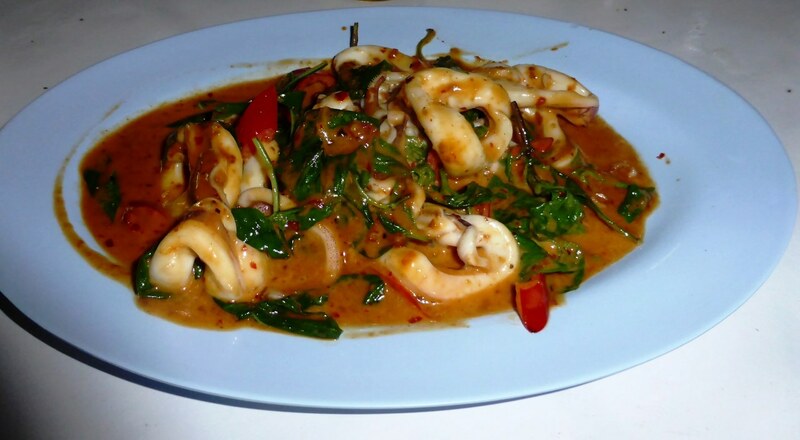 Simple squid in a Thai curry. 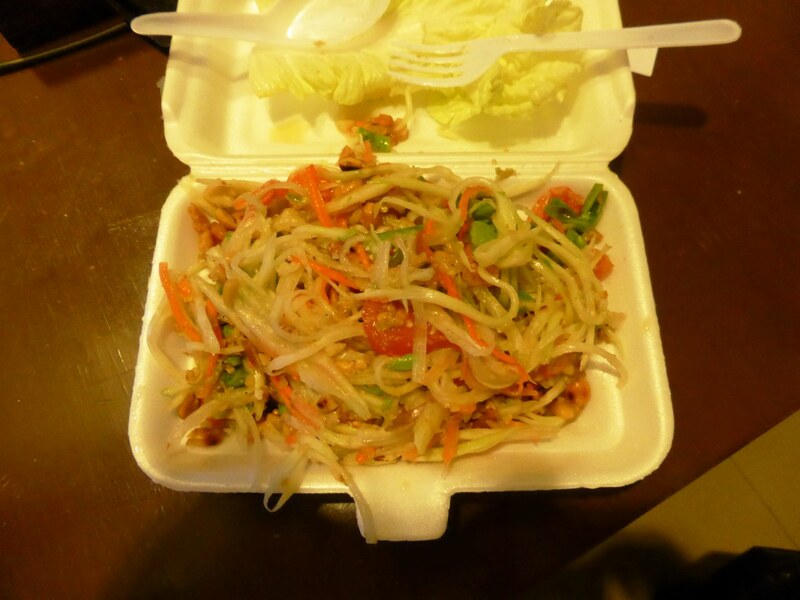 I will miss you so much, my beloved Thai food. I will even cry into my cushion for Vietnamese food. 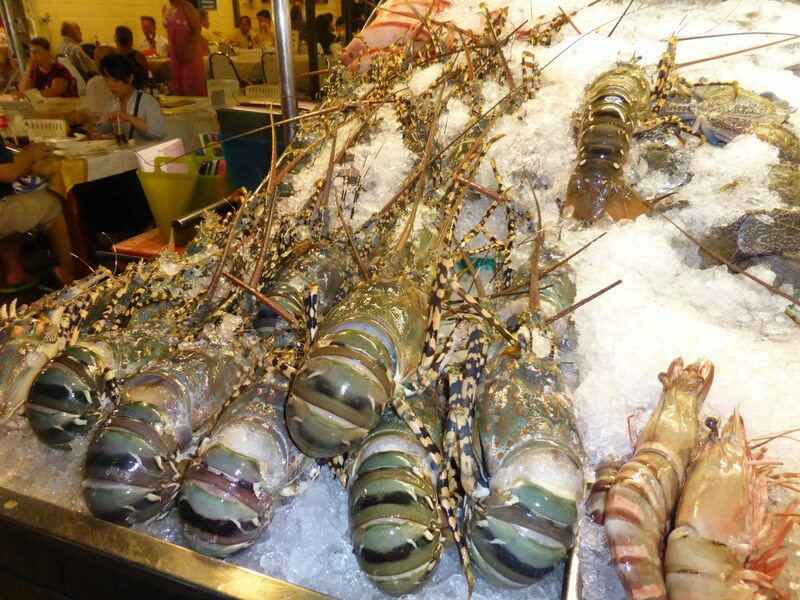 Talking about Vietnamese food: look at these monster lobsters. I have never seen such giants anywhere. You should know that it takes them about 40 years(!) to reach such sizes. There are no such animals left in Thailand. Nor Europe nor along the US shores! 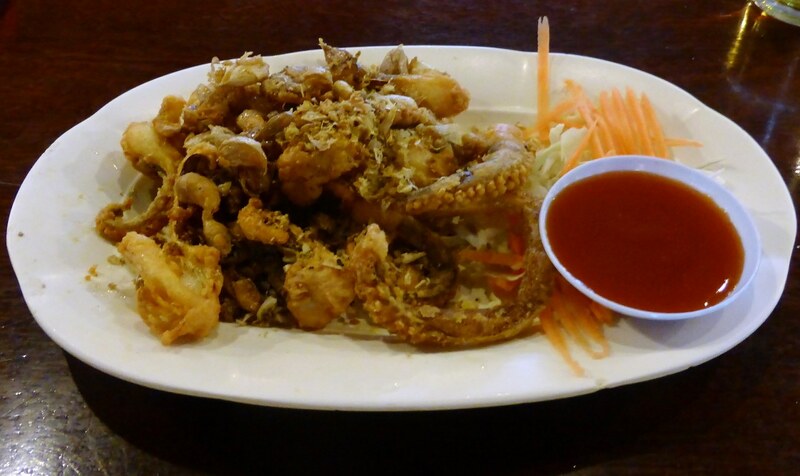 I talked to the restaurant owners and it turned out that they import them from Vietnam! There they still have because so far the demand for lobster was not so big. Well, another two to three years and they will also be history in Vietnam. 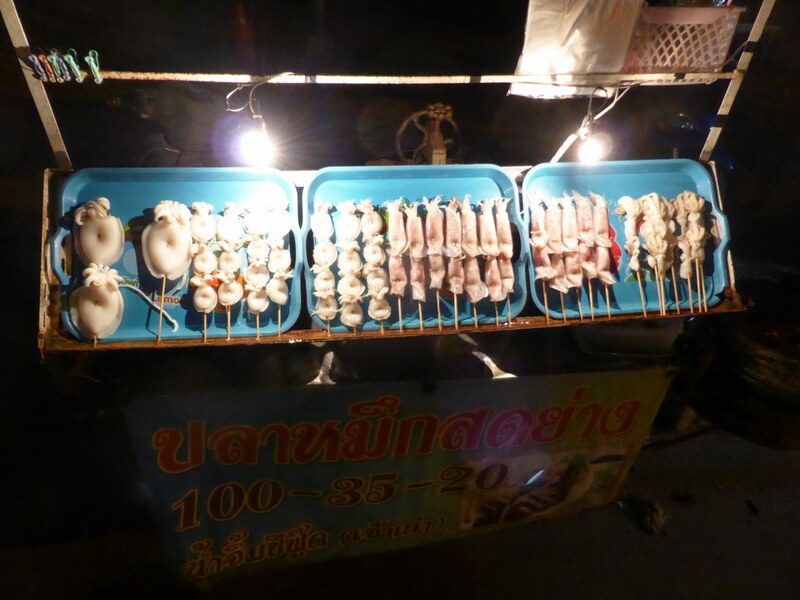 Sad – but inevitable They sell them for 1400 Baht per kg ( less than 35€) I did not eat any – out of sheer respect for their age and because I do not want to support the mindless exploiting of the oceans without thinking of tomorrow. But then, I may be a lunatic. Maybe the permanent intoxication of the seas by the Fukushima reactors will destroy/alter the life in them anyway within the next few years?! Better eat these lobsters now as long as they still exist ! Well, not entirely, but an early breakfast at 7.30 am. The water being very pleasant and no waves this morning. Everything still fairly quiet at 8.30 am. – at 10 am I buggered off. It gets more busy then and also noisy from the motorboats and jet skis. Time to move to the pool for a while. 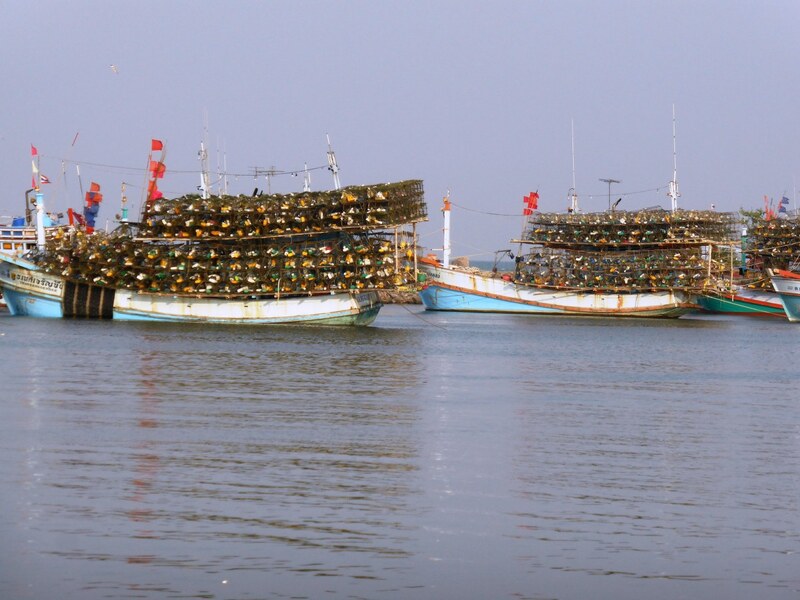 My excursion to the fishing village last night was disappointing. The place was dead. Only a few big restaurants (I am sure they are packed on weekends with the Thai from Bangkok) were open. 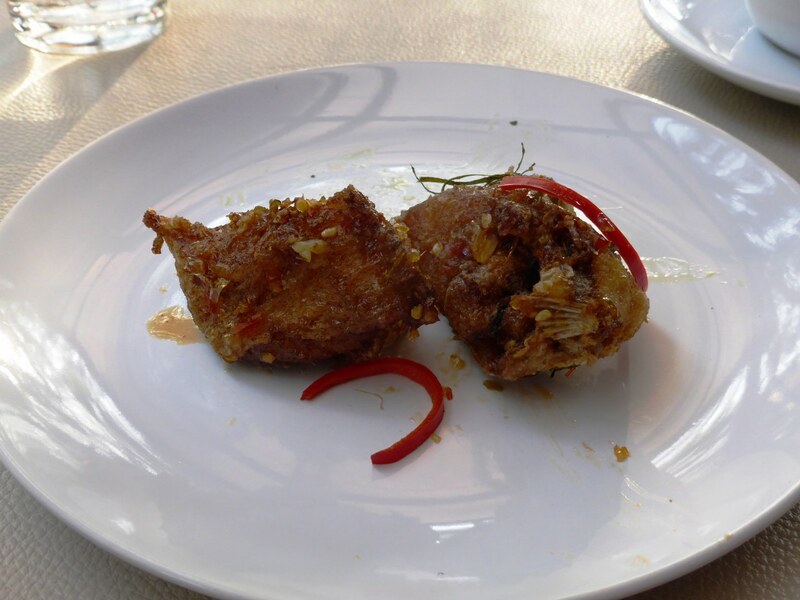 A look at the menu sobered me up. 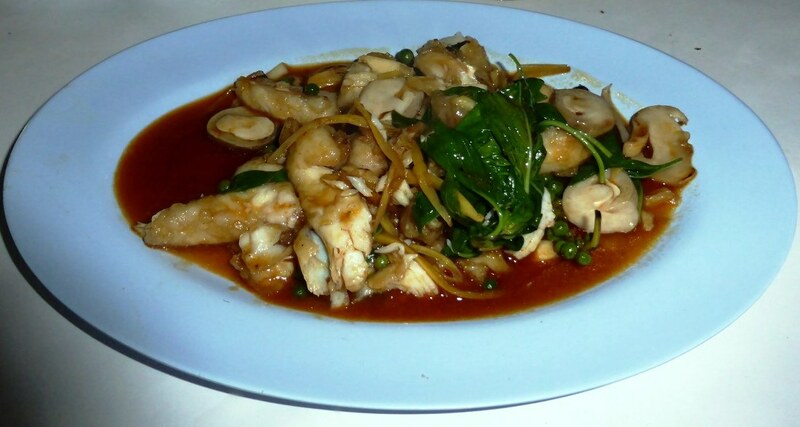 A very small choice of dishes and more than bold prices! In the end I stopped at the last restaurant in the direction of my hotel and out of desperation I had some squid with garlic. 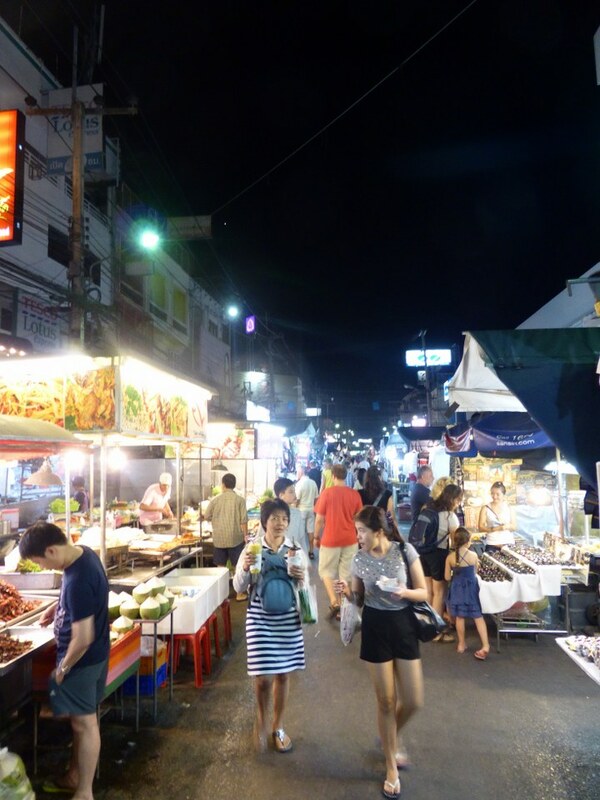 Today it is back to the Hua Hin Night Market – and until I leave. Out of desperation I stopped at a food stall on the way home and had a little soup. At least that left a pleasant sensation in my stomach. …but just as I was passing there the pain in the knee set in. Stronger than ever. Sh…! Obviously the massage was not the best possible thing for my leg! Fortunately I have enough medication for an ox and it even still works. Otherwise I would not have slept at all. I also spent more time at the pool because it was just too much to go back and forth. I only left once the pain become unbearable again and I had to go back to my room for the pills. This is where all the good stuff comes from. So I have decided a change in plan! 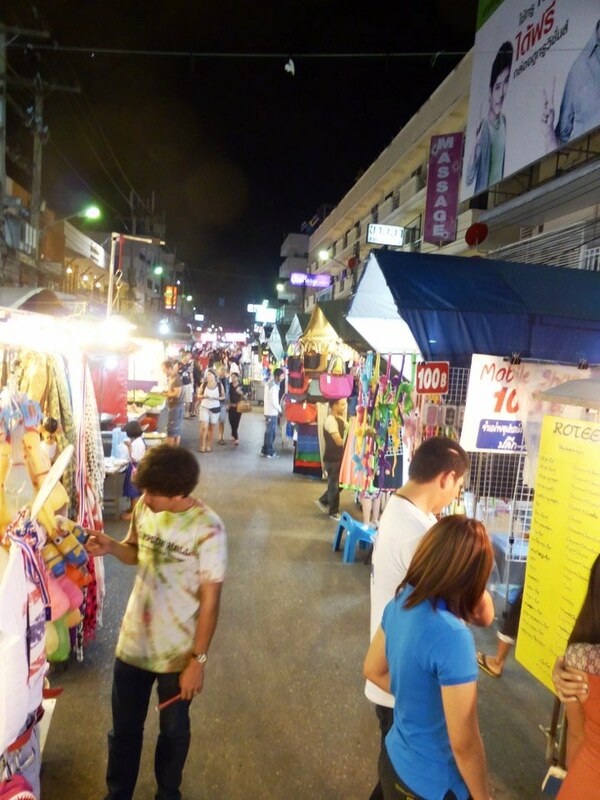 I will skip the Hua Hin Night Market tonight – also because I am afraid of having to walk far. 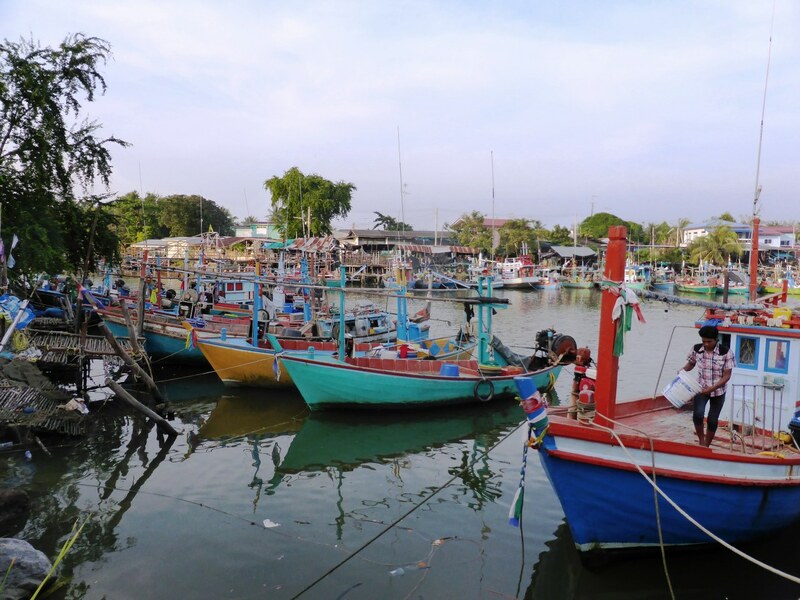 Instead I will go to the centre of the Cha-Am fishing village and indulge in some seafood there. I am sure that the preparation of the food will be very simple there – unlike at my “Moo” – but, hey, I can survive that – since I can park the car right next to the restaurant, I guess. 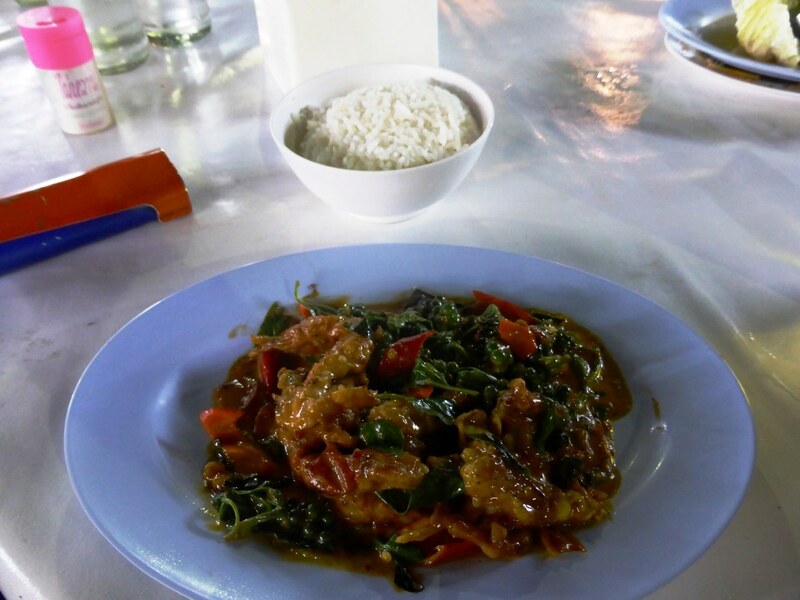 The reason why I flew to Thailand for the last few days of my stay in Asia is of course the food. 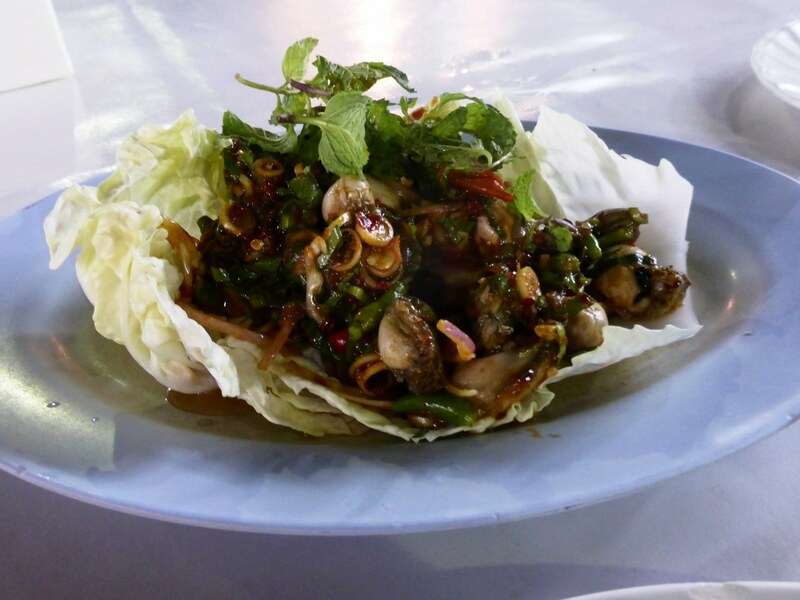 And the reason why I chose specifically the Hua Hin area, where I know every bush and every stone by now, is the abundance of seafood there. 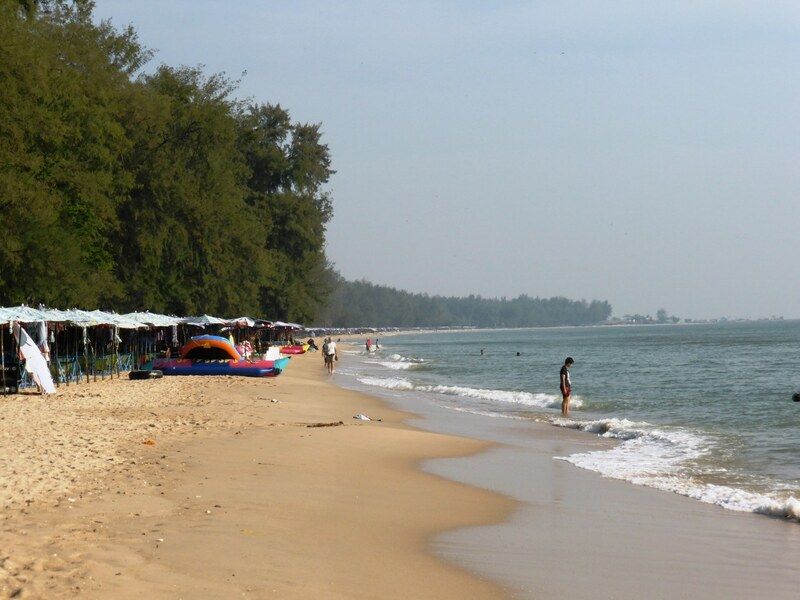 To Hua Hin it’s about 15 minutes by car. 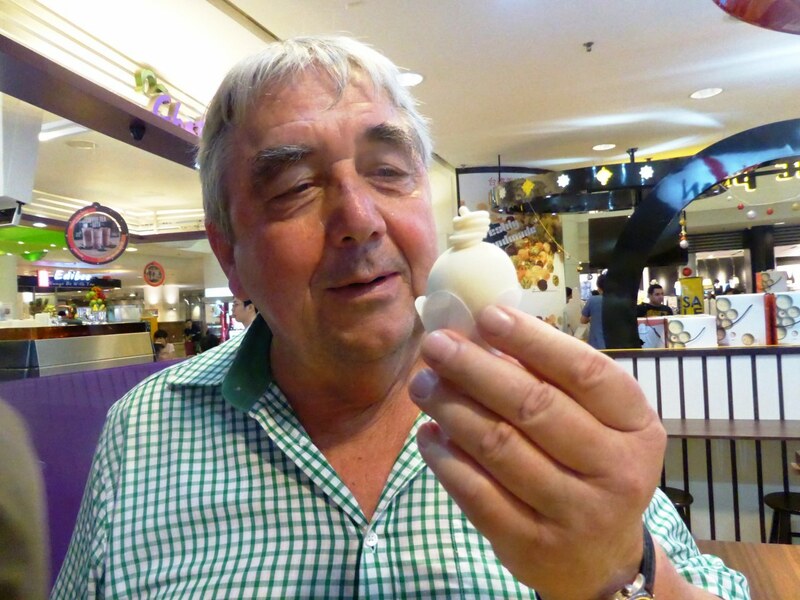 I decided to go earlier as I wanted to check out a few things at a Mall in Hua Hin. There, of course, I could not get what I wanted at the price I was willing to pay but it did not make sense to return. 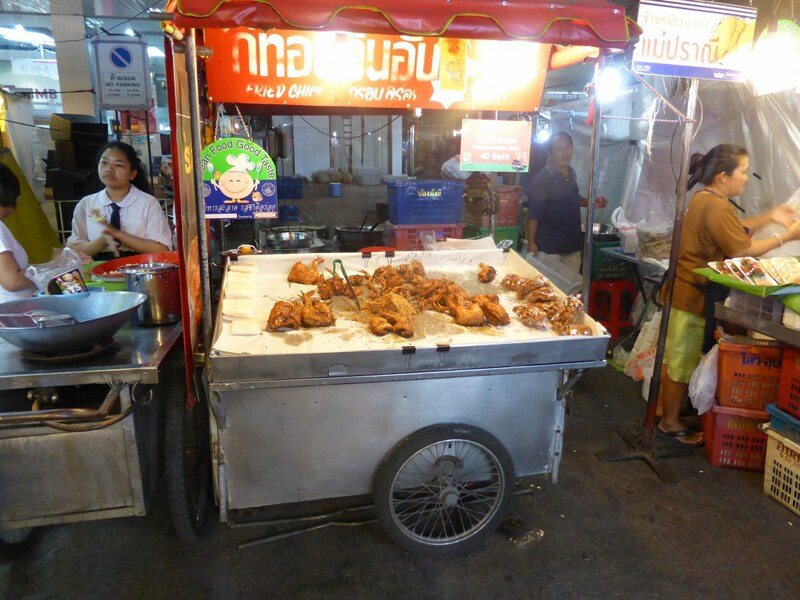 Sadly, there was no parking near the night-market – despite that the market was still “non-existent”. I parked far away and thought: slowly I will crawl through the side streets to the market area – and maybe I will have a beer there before the market starts. After a short “chat” I asked him for a foot massage. One hour. I think he did not grab what the exact problem with my knee was – but his massage removed the constant pain in the knee and basically whole leg as the pain spreads up to my thighs and down to my feet. 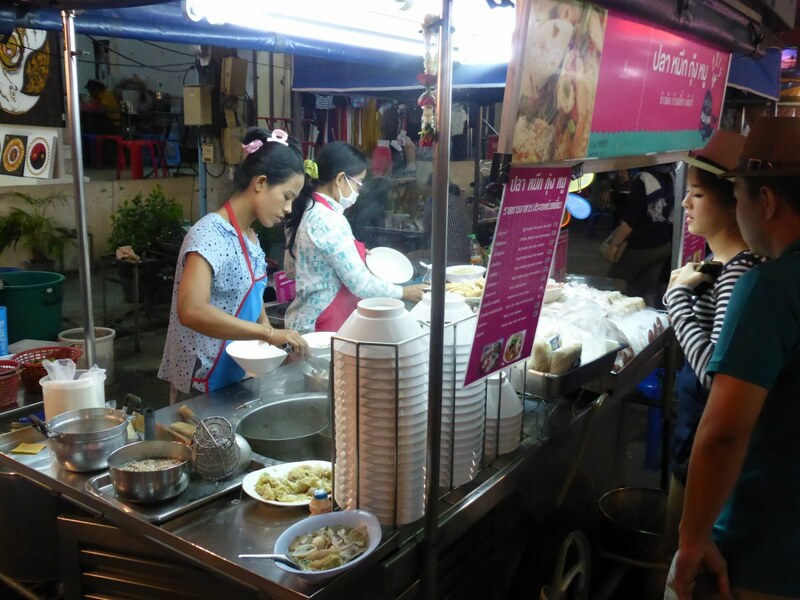 So, I limped happily in the direction of the night market which by now had started to operate. 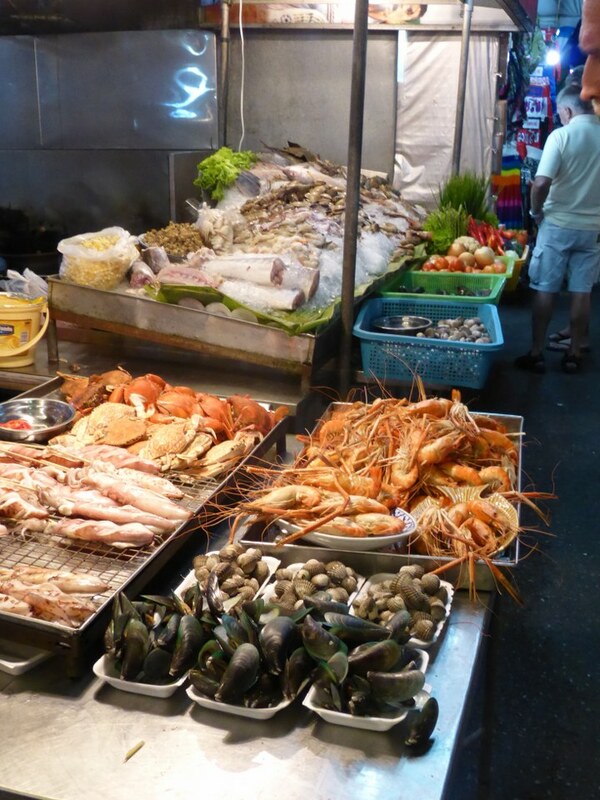 Now, this is where the fun starts: the Hua Hin Night Market. Every day. 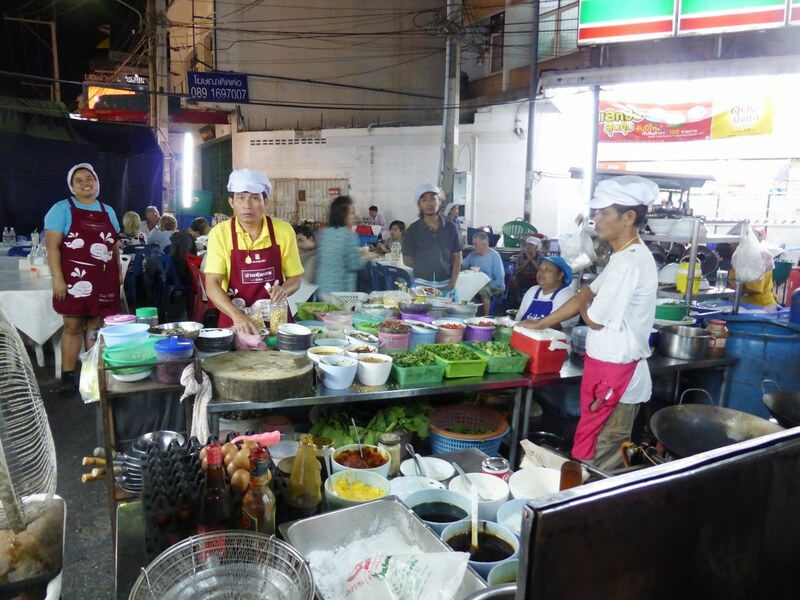 Many stalls with clothes, bric-a-brac and Thai crafts. I have stopped looking at them quite some years ago as I have seen it all and never buy anything. But passed this lies food heaven! 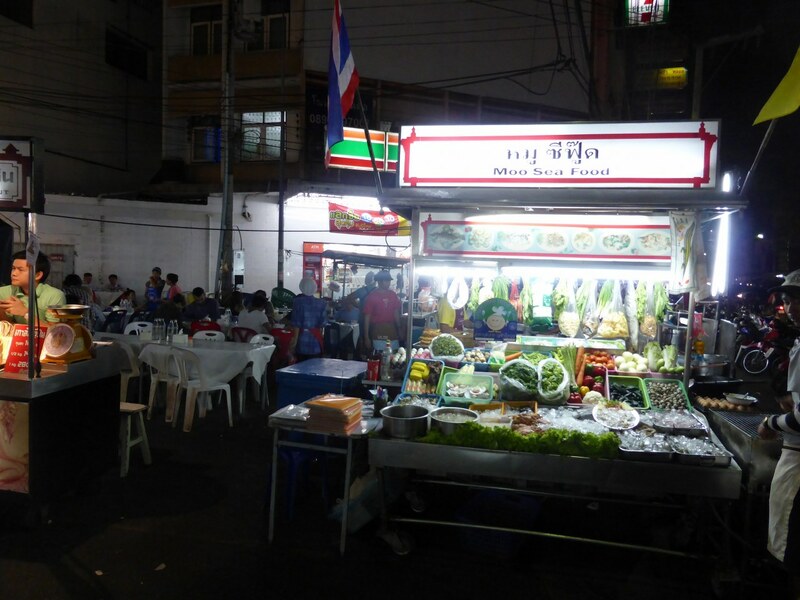 The second half of Dechanuchit road is full with food stalls and restaurants. My turf! I used to have a favourite restaurant there with a gorgeous cook. But he left them 5 years ago or so and since then I don’t like the place any more. 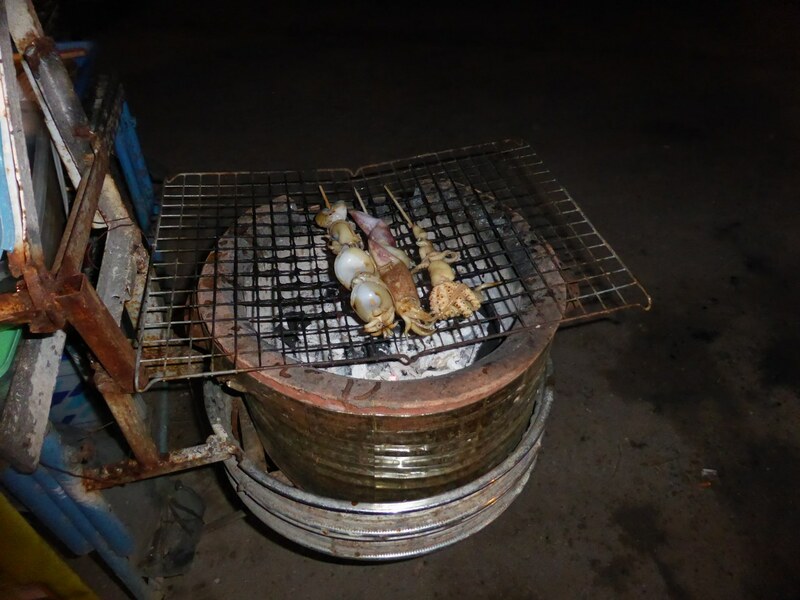 But 4 years ago or so I have found an alternative: “Moo Seafood” – a completely mobile restaurant. On the side-walk. During the day you would have no idea that it exists. 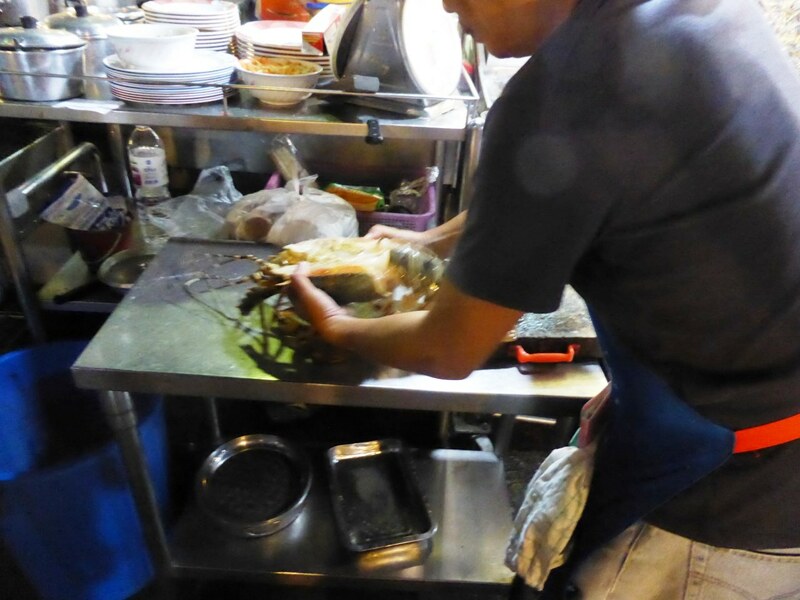 What I also like is that they display all their veggies that go into the dishes and don’t only brag with the biggest crayfish. The man in yellow and the one on the right are the team of chefs. The yellow one prepares and chops everything and puts it in little bowls. The other one handles the wok. Look at their excellent mis en place! 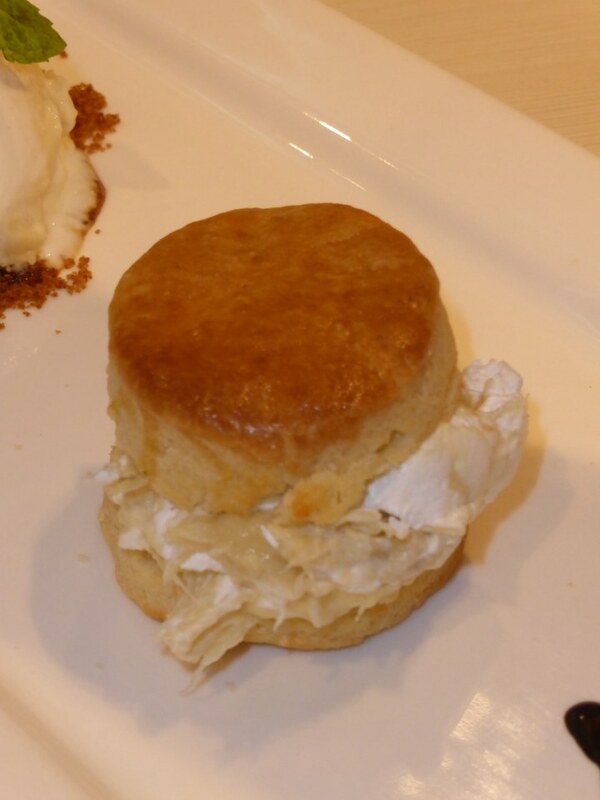 As I had had too much durian ice cream I only had a modest dinner. This is MY kind of food! The type that I call: forget about everything else food. Sheer passion. For this stuff I travelled al the way. I just hope my leg will carry me through the next few days! The trip from Hanoi to Hua Hin lasted longer than anticipated. The morning flight to Bangkok was OK and immigration and baggage claim were a breeze, as always at this nice airport. I had booked a car in advance and with the voucher had received wrong information about where to find the representative of the rental company. So, this delayed thing already a bit. What was more annoying was that I got stuck in Sunday traffic in Bangkok due to the massive protests against the government…but listening to an audio-book kept me calm and relaxed. And I made it to my hotel just before sunset. 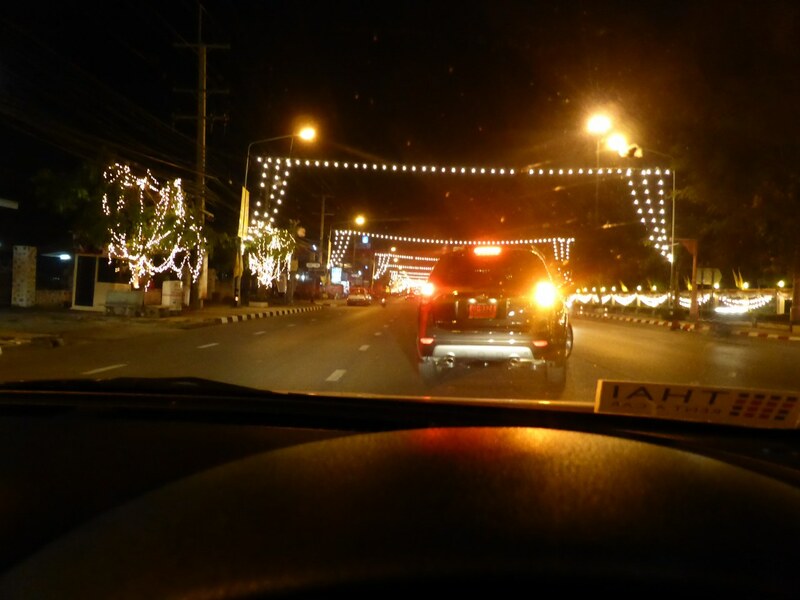 That was a pleasant relief as I am not hot on driving on Thai roads in the dark where you meet all kinds of vehicles without light and where the sides of the roads are not marked. In addition I was rather exhausted. And the reception at the hotel was very friendly and the room quite nice. That’s where my luck ended For whatever reason, Buddha seems not pleased with me. On my way from the car to my room I tripped on the dimly lit garden path and – fireworks of pain in my head. The knee! Since then I am suffering – very badly. And with enough alcohol and pills I could even sleep well…. 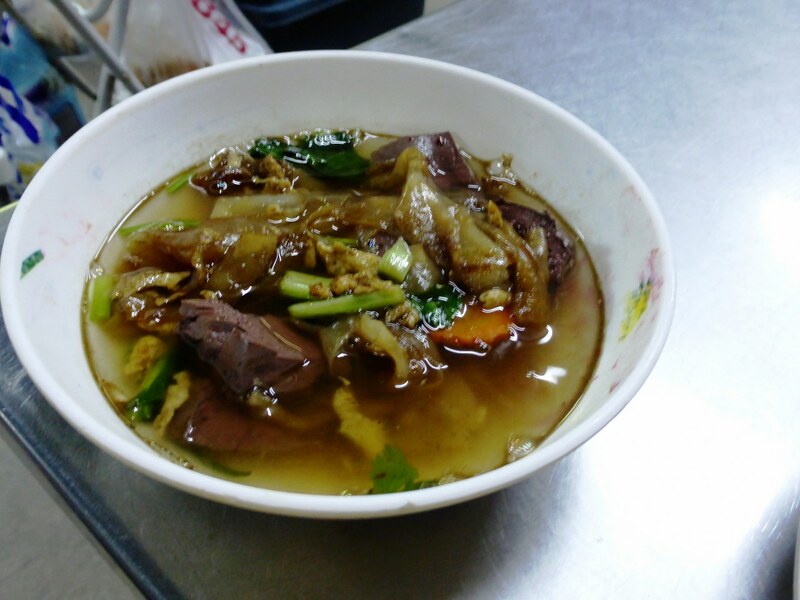 Chicken noodle soup for breakfast today (as I MUST have a last Pho Bo (beef noodle soup) tomorrow at 7am or so. Yesterday we ate all the stuff from the fridge (3 beef filet steaks for me breakfast and another 3 for dinner), squid with lemon grass and chillies for lunch. 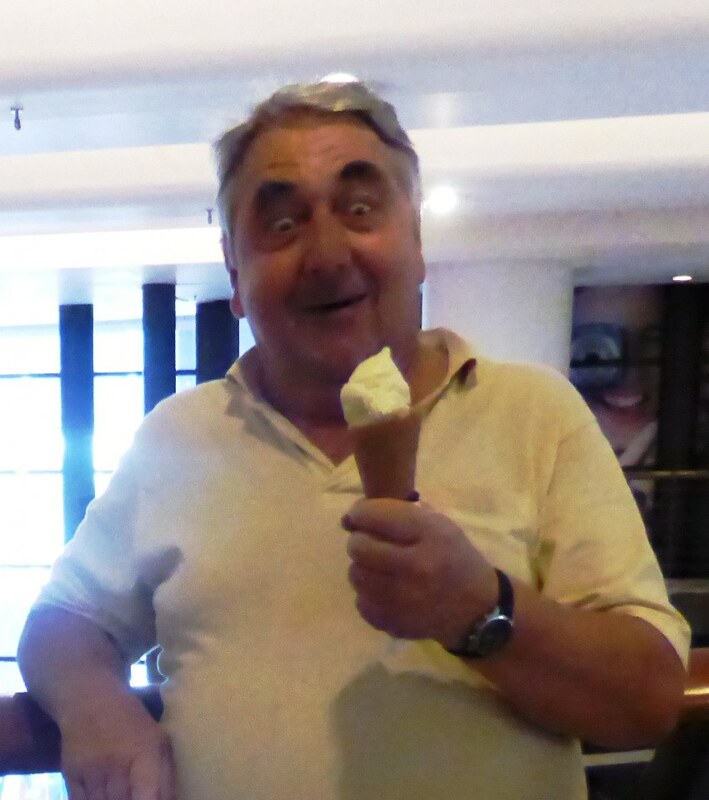 The only things left is 1/2 box of “Fanny” durian ice cream – one lime and two bottles of coke to water down the rest of the Captain Morgan. A bottle of Ricard, some red wines and other long lasting items put into “storage” for my next visit. Ah, and I also have to turn in my squeaking but trustworthy motorbike today. I did not use it as much as I anticipated but it was a must have item. Gave me the feeling of independence. From tomorrow on it will be all Thai! The winter weather in Hanoi makes the skies grey and you feel less inclined to spend your time outdoors. So, I sit at my desk, sip some Vietnamese coffee with its unique aroma (I suspect it comes from they way they roast their beans) and nibble on some cup cakes that a friendly soul has baked for me. 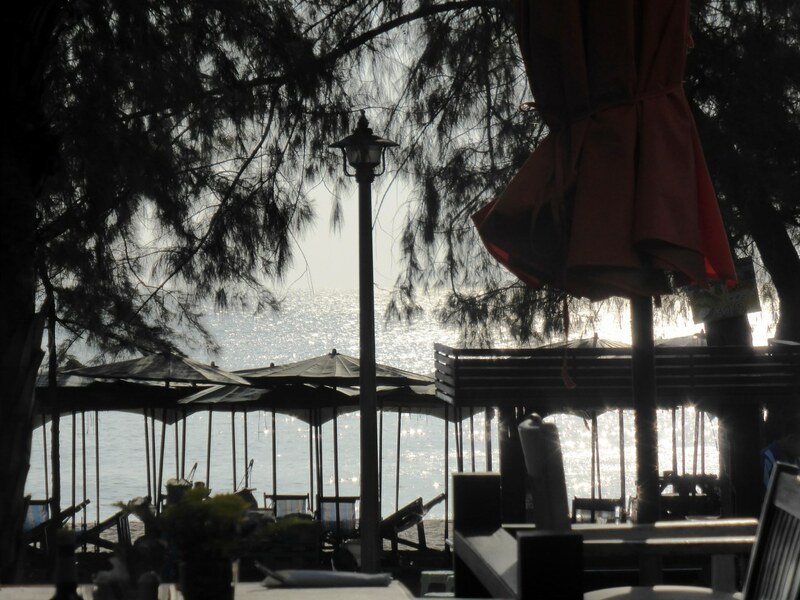 And I reflect on what attracts me so much to Vietnam. The answer is simple, of course. You might as well ask me why I live in Bansko or why I have moved my German base back to Bavaria: it’s the people! Here people still have values that govern their lives, and traditions – in other words: more culture than most Western (and increasingly also Eastern) nations have left. Ethical values that define what’s good and bad and (derived from that) rules that regulate how people deal with each other. Respect for each other and especially for elderly people are one of the foundations of local society. A situation where, despite the modern times, people actually still care about each other. Why Hanoi and not Saigon? Because there is a big difference in the mentatility of the Northern and the Southern people. South Vietnam developed rather late through immigrants from the north and has less “tradition”. 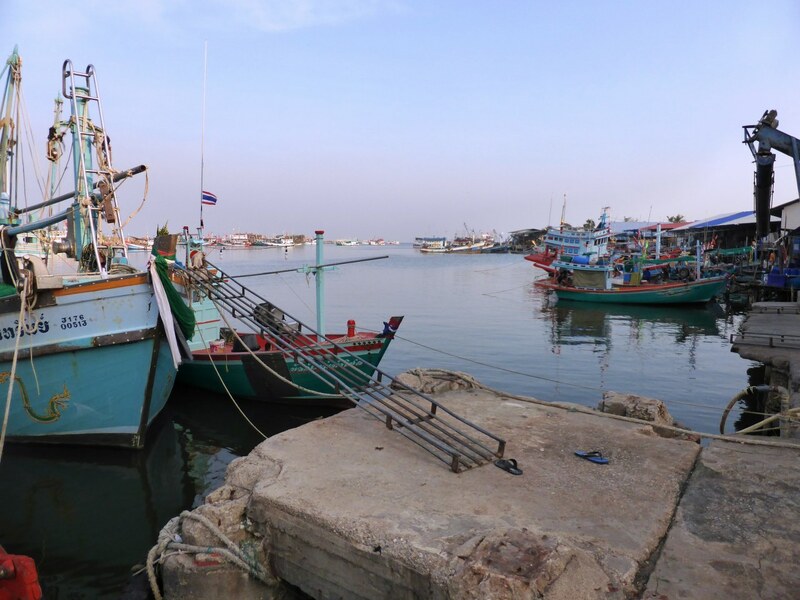 South Vietnam was also the area that was most exposed to European and Western influences. Yes, the South undoubtedly has a lot of charm and I like it also very much – for a relaxed holiday. The people there are more easy-going, open, “European” but also superficial. “My” Northern Vietnamese on the other side are more guarded, have a talent for frugality that enables them to achieve something even with low income. They exude a sense of duty and zeal that one would never expect in such a tropical area. They have a pride, hidden behind their Confucian modesty, that says: I am Vietnamese! When you listen to their conversations even if you don’t understand anything (like me) you hear the word “Viet Nam” all the time. They care about their country! That’s why my “territory” is the North and not the South! Because of the people. 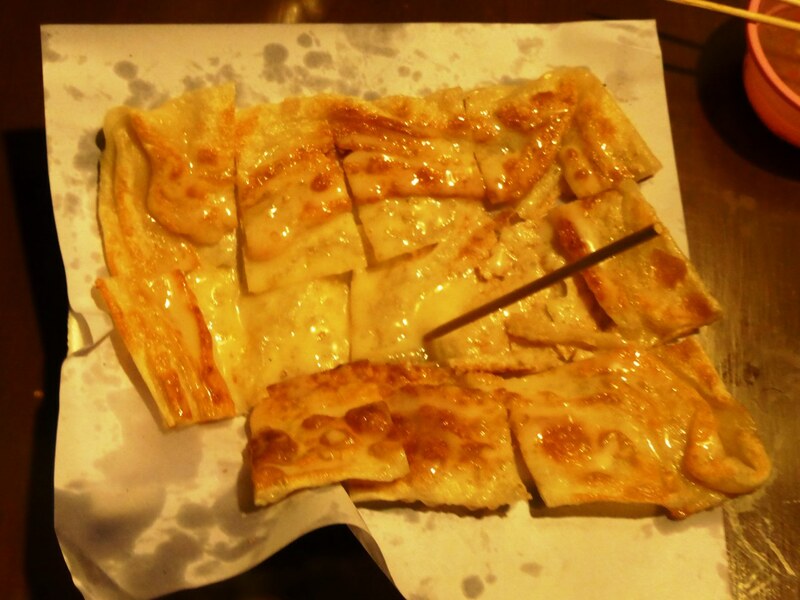 And nowadays also the food. 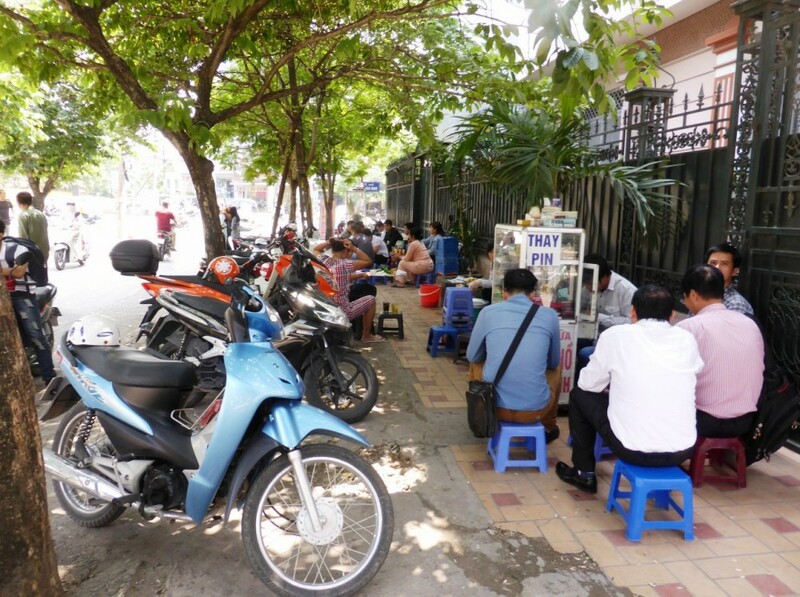 Northern Vietnamese women NEVER smoke – and I also have not seen them drinking alcohol (in public) – in contrast to the South. The traditional clothes for farm workers are brown in the North and black in the South – but black seems to spreading to everywhere nowadays. In the North green army-coloured shirts and blouses are still standard and same-coloured tropical helmets for male workers. I should say that I used to be a great fan of Malaysian/Indonesian food. Of course, in those days my horizon was limited. 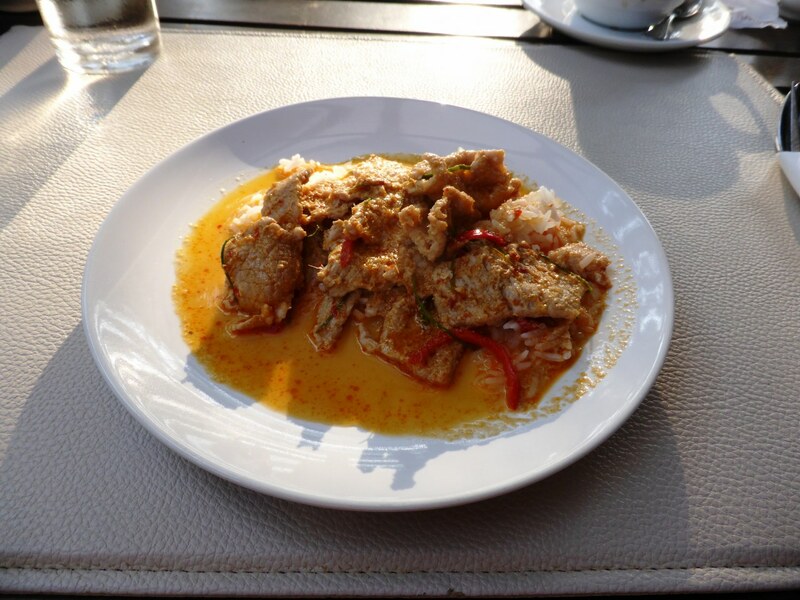 I had not sampled and fallen in love with Japanese and Thai cuisine yet, not to speak about Laos and the more exotic fares… The “Rijsttafel” was the incarnation of delicious, unique, exotic food for me. And I adored it. I don’t remember if they used that much sugar already back then. But then, this is entirely possible. 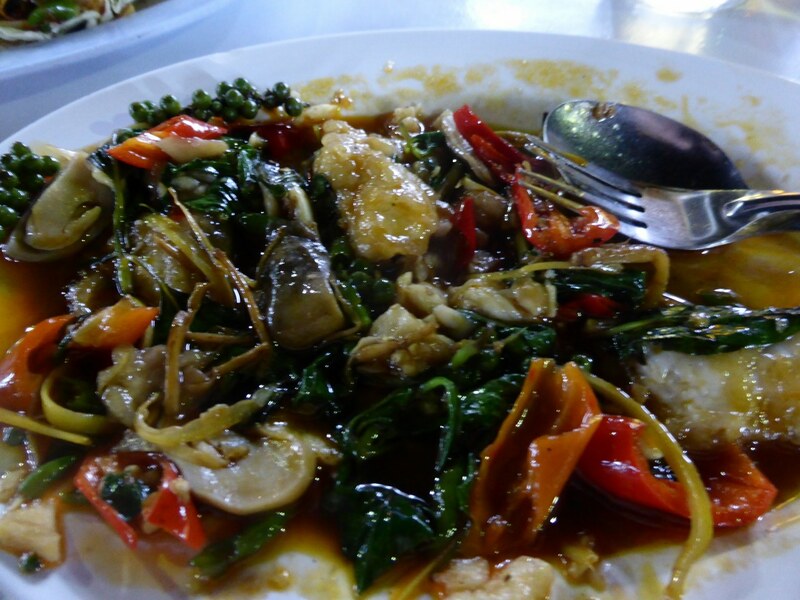 Since then my taste buts have been captivated by the Thai cuisine. It’s fiery passion with its clear taste lines is my yardstick. This is the food that I can eat day in, day out. 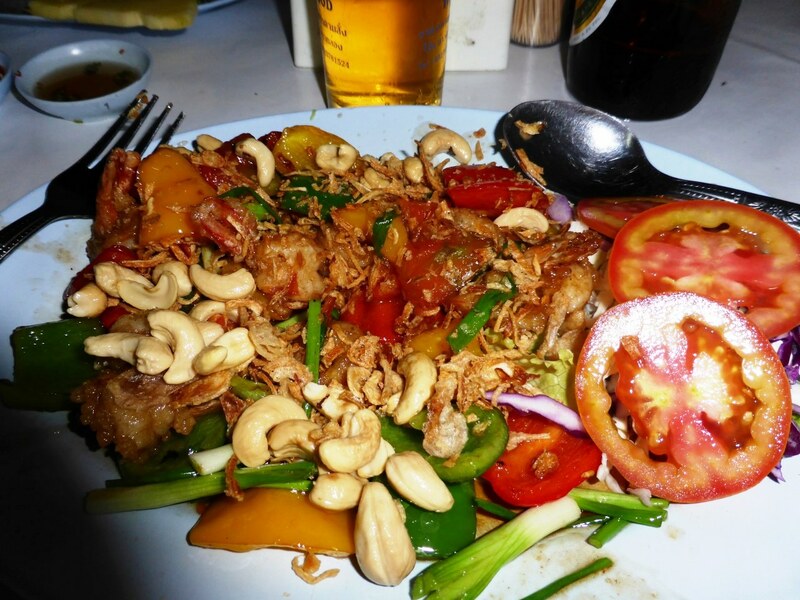 I can also enjoy a Malaysian dish very much – but not in succession. It’s nothing I can control -it is my personal “evolution – and I hope that my KL friendswon’t hold this against me. I am sure if I would never have been in touch with the “other” stuff I would still love Malaysian food as much as 37 years ago! 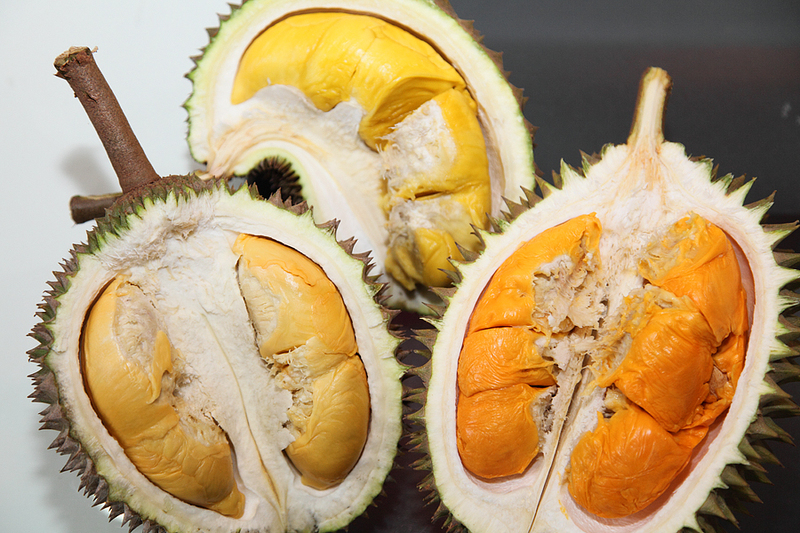 One of durian’s characteristics is its unique smell. Some people refer to durian as “cheese fruit” because its “odour” might be confused with stinky French cheese by non-experts. 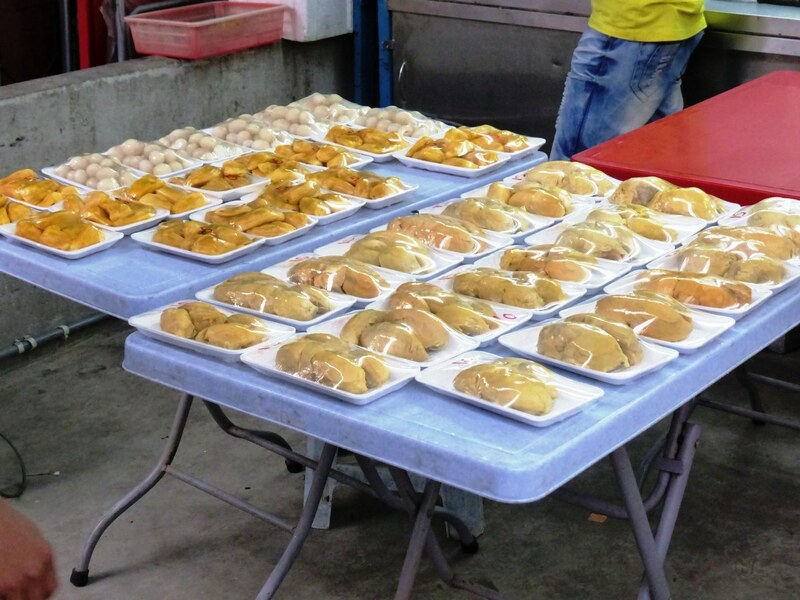 Here you see different kinds of Durian as you can tell by the different colours of their meat. The heavy smell of this fruits divides people into two camps: those who love the fruit and those who find it disgusting. The latter seem to be in the majority as basically all over Asia it is forbidden to carry it on public transport! 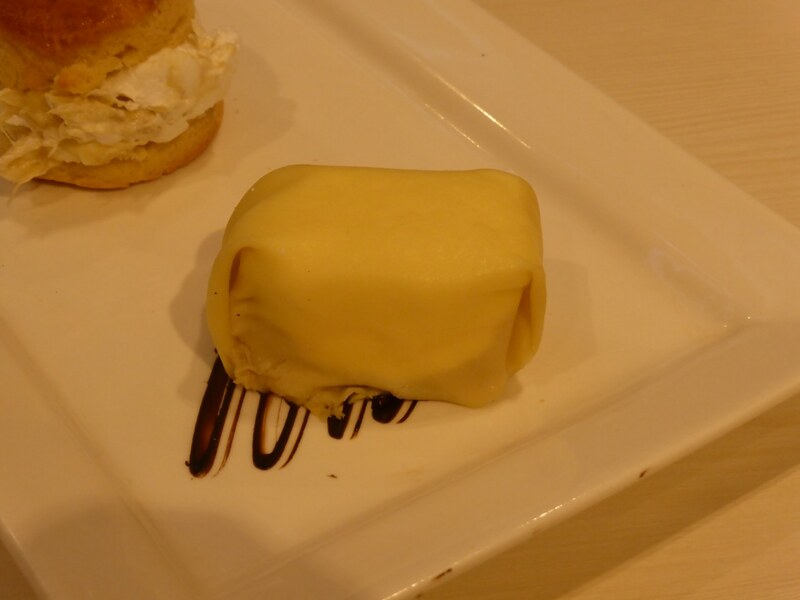 I suppose the love for durian is an acquired taste (like for Guinness or smeary, stinky cheese). But once you got the “virus” it will stay with you. Wherever I go in Asia I look out for durian. 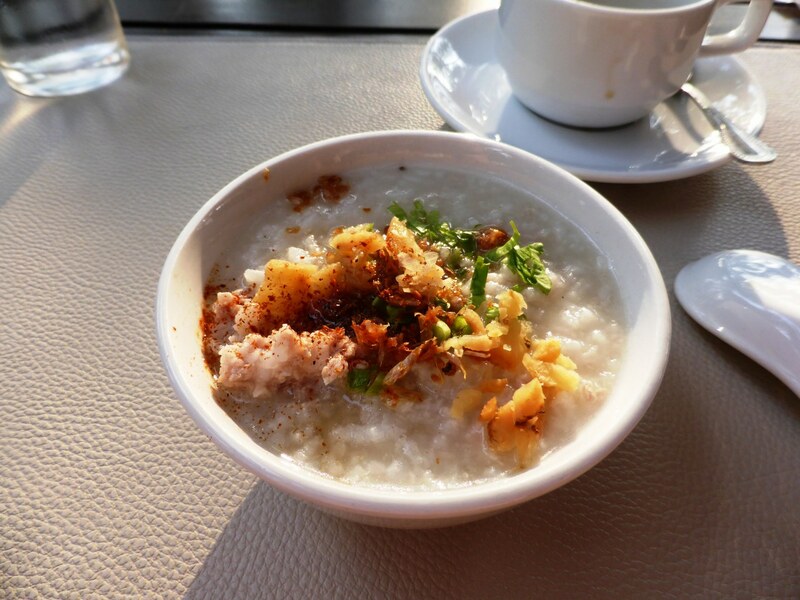 You can find it on most markets in the Southeast-Asian countries, rarely in shops. 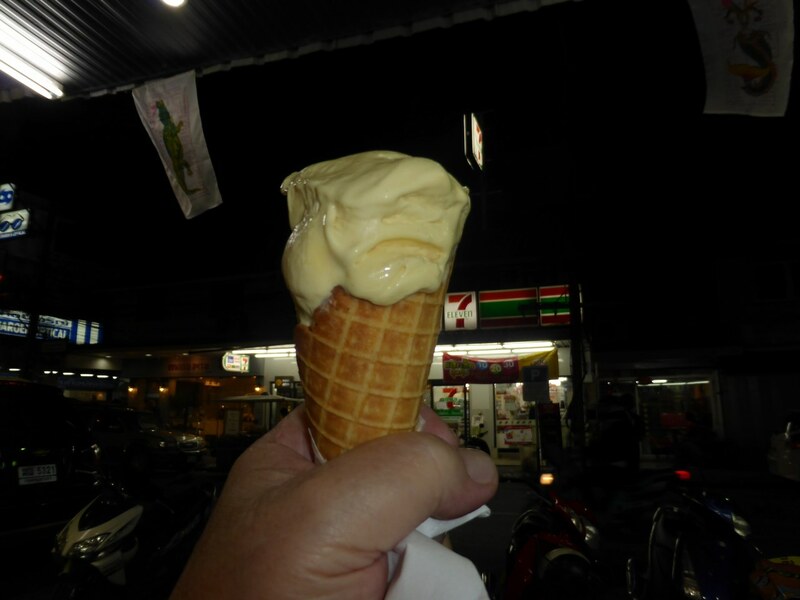 In Thailand and Vietnam I can find some durian ice cream here and there – and I love that too. 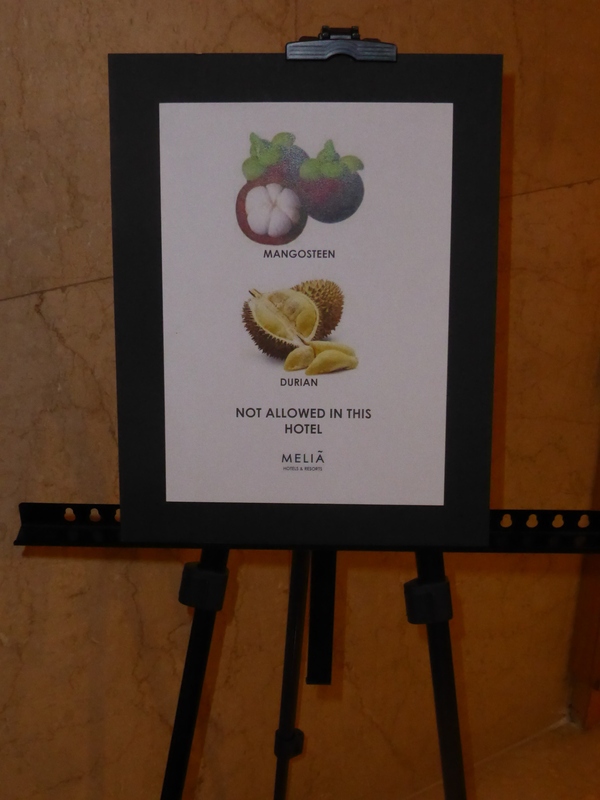 Malaysia, however is the only country that I know where durians are not equal. 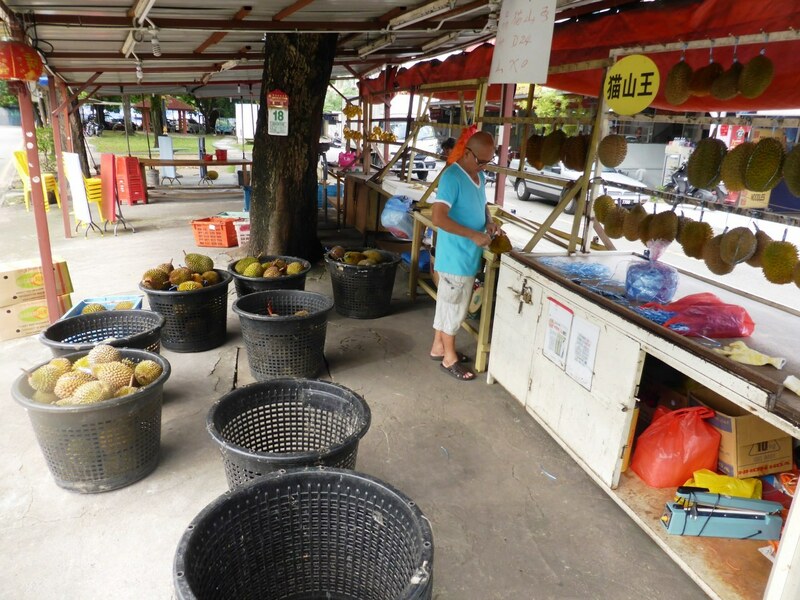 People are enthusiasts and experts and there is at least a dozen kinds of durian that people distinguish by flavour. In Vietnam the durian they have is less aromatique and I have never seen different kinds on offer (same in Thailand but there the durian is a bit more pungent). When you see people buying them, they sniff them, examine the exterior, weigh them in their hands, knock on them and listen to the sound…all very focused. Only in Malaysia! There is a lot of cheating by the traders. 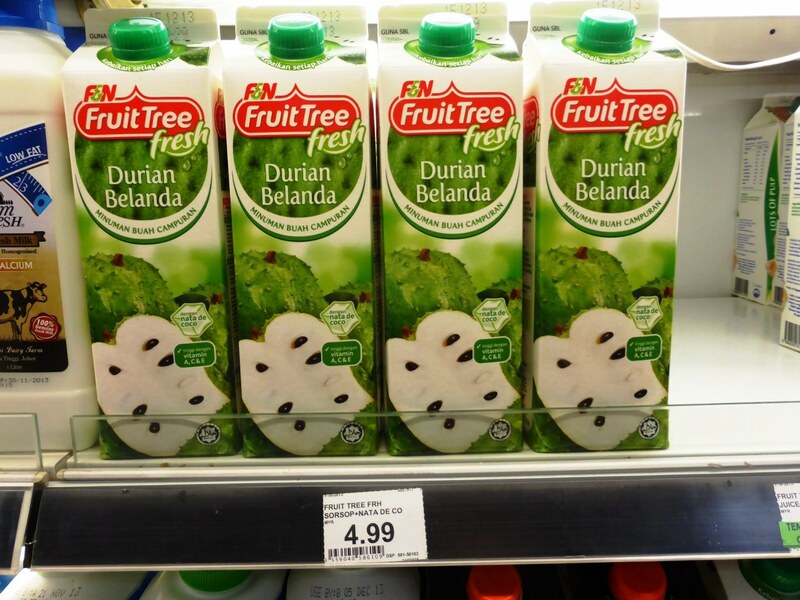 Because different durians carry quite different prices. The number one durian is the “Musian King”. 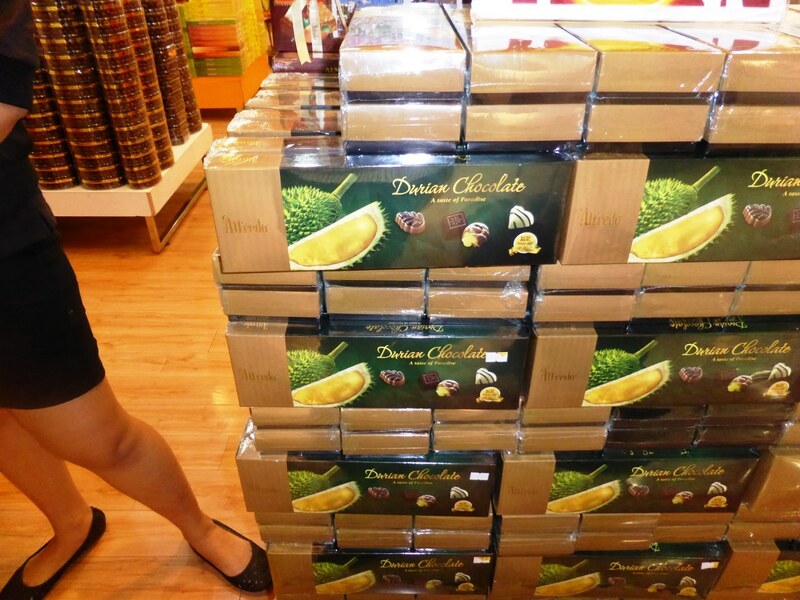 Its price is well double that of an “ordinary” durian. Then there are kinds like “D24″ (number 2 on the ladder), “D1″ and so on. It takes an expert to discern them and the saying is that once you have found a dealer you can trust you stick with him for good. 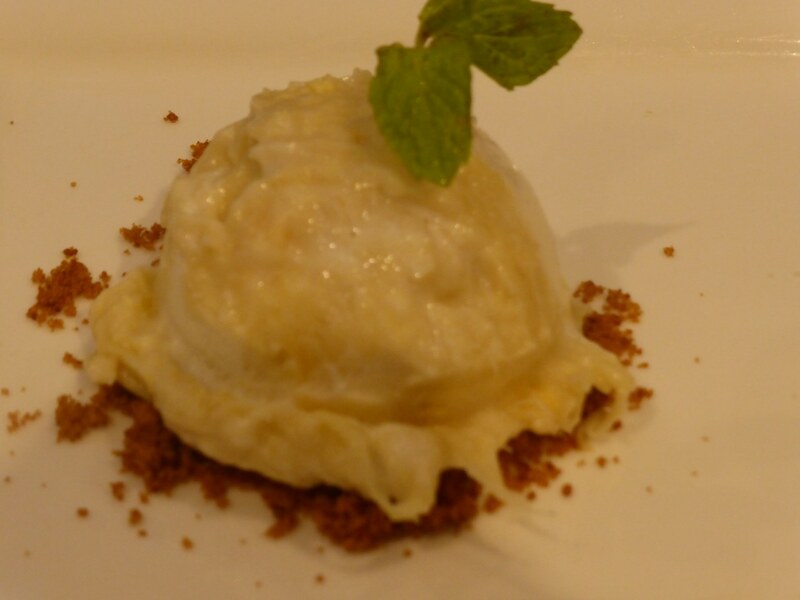 Of course, you always choose your durian as a whole fruit. Once it is weighed and paid you can ask the seller to put the meat in a foam box and discard the rest – but stay away from public transport! 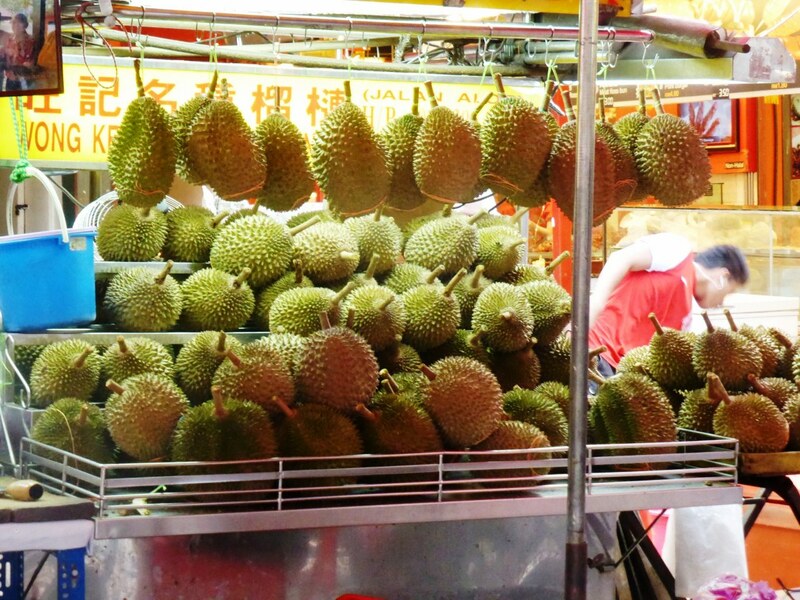 I really felt in durian heaven in KL. 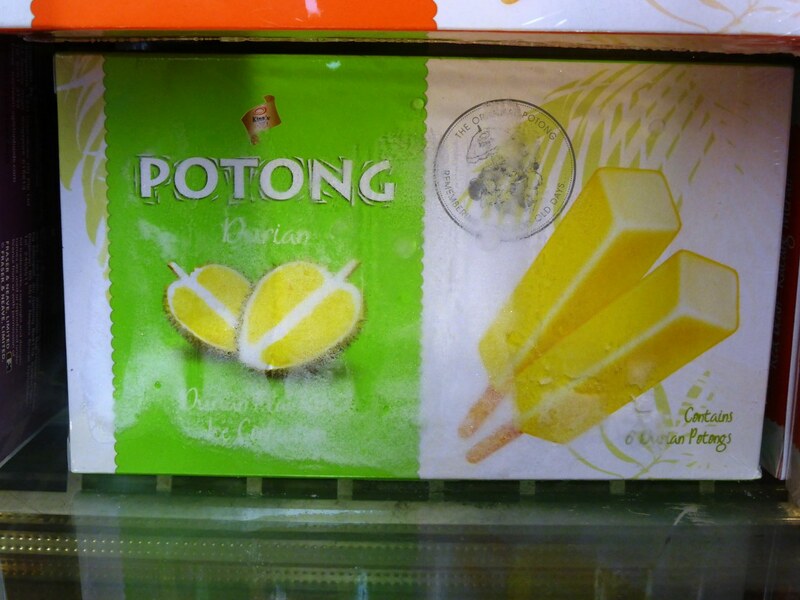 Not only have I never been surrounded by so much durian scent in my life – there are also all kind of durian derivative products on the market that, of course, I had to try.